Bioidentical hormones are compounds with the exact chemical and molecular structure as hormones produced in our body. Most bioidentical hormones are processed from soy or wild yams, which means that bioidentical hormones fit our cell’s hormone receptors better than synthetic hormones and tend to have fewer risks and side effects. Bioidentical hormones are simply more compatible with our body than synthetic hormones. 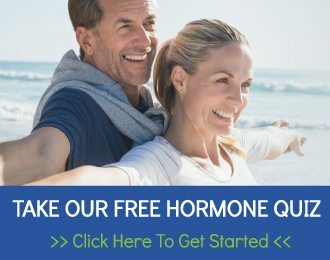 It is our experience that patients encounter very few side effects and health risks when taking low dose, customized forms of bioidentical estrogen, progesterone, and testosterone versus a synthetic form of these hormones. Bioidentical hormones are available as prescription medication through conventional pharmacies in limited, standardized doses. They are also available through compounding pharmacies in numerous, customized doses. These should not be confused with the over-the-counter formulations of creams and supplements. Customized dosing is recommended to achieve optimal results without over medicating. Our nurse practitioners recognize the personal needs of every patient and individualize each patient’s program specifically for them. The focus of each program is based on responsible medical care. Replenishing hormones and maintaining the levels are essential to a healthy endocrine system. Wise Woman Wellness strives to provide the most comprehensive hormone replacement program available today. A successful program takes time, patience, compliance, good communication, and a partnership between each patient and our providers and staff. While it is your journey, we are honored to join with you to ensure the results you expect. We look forward to helping you “feel like you again” and achieve renewed health and vitality. Your journey to a longer, healthier life, starts here. Ready to get rid of menopause symptoms and start feeling like yourself again? The FIRST STEP is to attend our informational End Hormone Havoc seminar.